Just more than two years ago we started the Tumelo Care Centre, Tumelo, meaning “Faith,” in Bloodriver, Seshego. Being involved with Drop-in Centres, I realised that there is an immense need in the feeding and education of young children. We now face another challenge in that the Chief expects a “payment” of R25 000-00 before he will hand over the final contract of ownership. I was really upset (to put it very mildly) about this new development. After numerous talks and discussions with the Pastor I realise that there is no way around this obstacle. The Pastor told me that if we were not a Christian church we would not have had to pay so much. After a few visits to the Chief it has been agreed that we can start building as soon as we have done the first down payment. 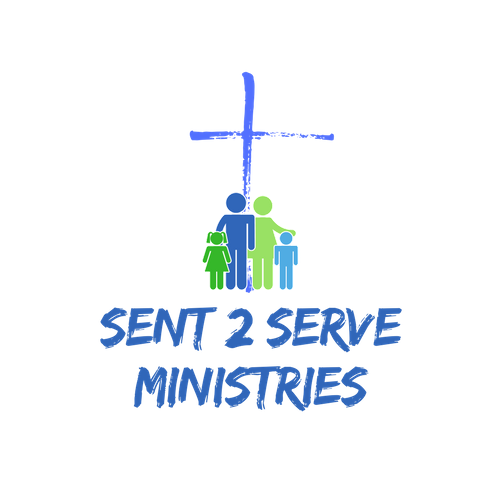 The directors of Sent 2 Serve has decided at one of our quarterly meeting that we will raise the funds to pay this amount. The congregation is very needy and it took them nearly nine months to raise the R6 500-00 to pay for the stand. TUMELO (Faith) Care Centre will be a Feeding Scheme and Aftercare Centre for young and vulnerable children, aged 6-13 years. This area is inhabited by some of the poorest of the poor in Polokwane. Child-headed families due to the prevalence of HIV are not uncommon. Due to the high unemployment rate in this area, many children are underfed and neglected. This results in poor health and also poor performance at school. We all know that a hungry child cannot concentrate. 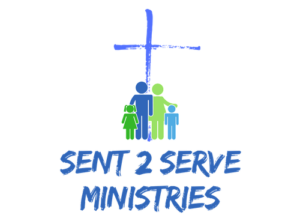 Our Vision is to restore “faith” in human kind in vulnerable, neglected and abused children. 1. To provide a safe haven for children where they will have at least one decent meal per day. 2. A place where they can interact with their age group and peers in a safe environment. 3. A place where they will be assisted with their education. 4. Where social upliftment and school holiday programmes can be facilitated and where we can address “life issues” through play, discussions and training. 5. To allow them to discover their own potential and individuality and where they can be empowered to be the best they can be as a child of God. We have been blessed with a donation of fencing material and a company has sponsored the labour for erecting the fence. That same night four of the posts were “removed.” The local chief (not the one to whom we have to pay the R25 000-00) was upset and immediately ordered the people to search for the posts and to try and find the culprits. Luckily the people found the posts and they were kept at the chief’s home until we could replant them. The donated vibra-crete structure was then erected at the new stand. We were blessed with an additional extension that will serve as the office for the Care Centre as well as the office for the Pastor. The poles that will support the roof, also a donation from a friend of the Ministry, has been put up. Our next step is to get donations for the roof and concrete for the floor, after which we can finish the building by putting in the glass for the windows and painting it in bright colours. Once this is done we will have to fit it with the necessary “furniture” for the kids and also all the necessary cooking utensils for the kitchen. Once the Care Centre has been taken care of the church building will follow. I have a long list of people and businesses whom I have contacted during the whole process thus far. Some say “yes” and some say “sorry, we can’t help you now,” others never reply… and one person told me, “I only help “my” people” (whatever that means…!). Through all of this, God remains faithful and we know that we will be able to complete this project to the Honour and Glory of His name.